Lea Parkes and Greg Brown (business owners since 2004). Being an independent and locally owned and operated business means we are different to other local newspapers. We live locally as do many of our staff, we shop locally, we eat out locally and are very much part of the local community. We acknowledge how important our advertising clients are as a vital part of the on-going success of the community newspaper. We encourage outside input and genuinely value what others have to say, and are open to new ideas and new ways of doing things. We work hard to develop strong relationships with our clients to deliver the right product at the right time, and our staff are always here to help and support you to grow your business ... as your success is our success. "When we first purchased the business, I left my job as the Media and Public Relations Manager with Caloundra City Council and initially operated the business with a small but dynamic team of employees. 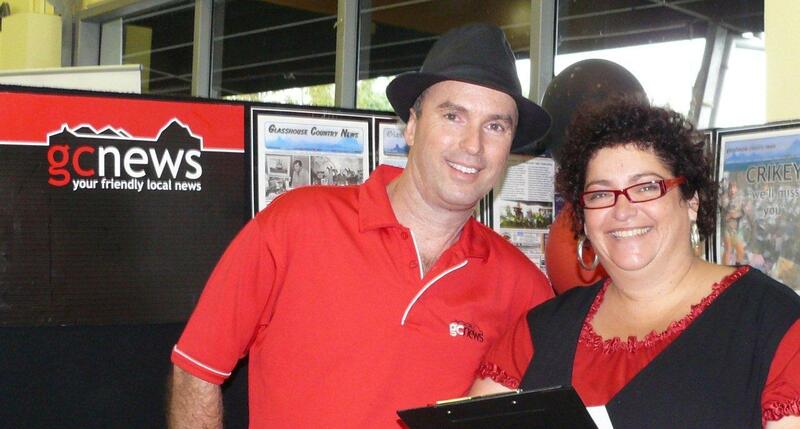 However, as the business expanded and we became owners of the Palmwoods based Sunshine Valley News (now unfortunately closed down) it then became time for Greg to leave his environment job with the Sunshine Coast Regional Council. He then took on the role as Finance / Business Manager for our businesses (and runs his own consulting business - Professional Weed Solutions). We are really proud of the growth, expansion and development that we have been able to achieve with the dedicated and enthusiastic staff that make up the GC&M News business today. For us, one of the most rewarding aspects is the strong business relationships we have formed with many other local businesses. As well, we are proud of the great partnerships we have formed with the many community groups, sports clubs, churches and schools knowing that the support we have provided them has helped to grow and develop their organisations".